This is the most amazing vintage gown. Stunning hue of eggplant purple. The best cross over spaghetti straps and full sweeping skirt. 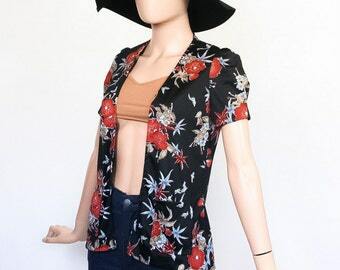 Adorable little crop top jacket that is removable and can be worn on its own. Dress is both comfortable and flattering. A stunning 2 piece ensemble.